Is Harry Reid Ready for Hillary? 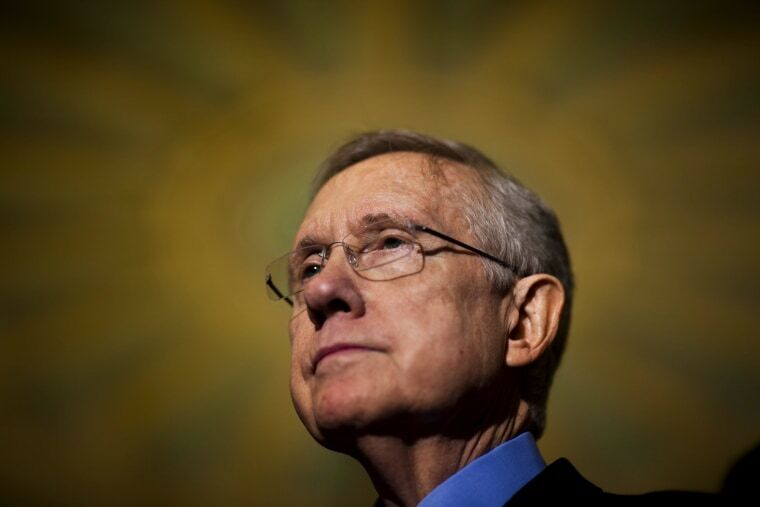 Is Senate Majority Leader Harry Reid really ready for Hillary? In an interview with NBC’s Chuck Todd on ‘The Daily Rundown,’ the top Senate Democrat appeared to joke about what some have grumbled would be Clinton’s coronation without a vigorous challenge from within her own party. An early backer of Obama – but one who did not campaign for either Democratic rival in 2008 – the Nevada lawmaker was sure to praise the former secretary of state. "Everybody knows I love the Clintons. And I don't need to say more," he said. "Including Chelsea." Reid has been mercilessly critical of the GOP-mega-funding Koch brothers, berating them nearly daily on the Senate floor for what he says is their undermining of democracy for corporate profit. But that criticism doesn’t apply to Las Vegas donor Sheldon Adelson, he told Todd. “I know Sheldon Adelson,” Reid said of the Nevada casino magnate. “He's not in this for money." Noting that Adelson is a former Democrat, Reid insisted that the donor has “certain ideological views” and “a beef” with organized labor but that he’s not seeking personal profit from his political giving. In contrast, the Koch brothers “are in it to make money," he said. "Anything that affects their bottom line, they oppose it."